Need For Speed: Shift on iPhone and iPad is one hell of a game, with great and stunning graphics along with smooth game play. And if you think that only Apple fans will get all the quality gaming love? you’ll be wrong. 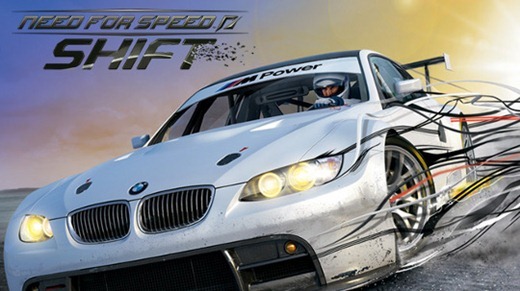 Sprint and Electronic Arts has confirmed that Need For Speed: Shift will hit Android Market on 4th of June, the same day as HTC EVO 4G’s launch. HTC EVO 4G is a very capable device and has proved itself to be a powerhouse compared to all other Android devices. 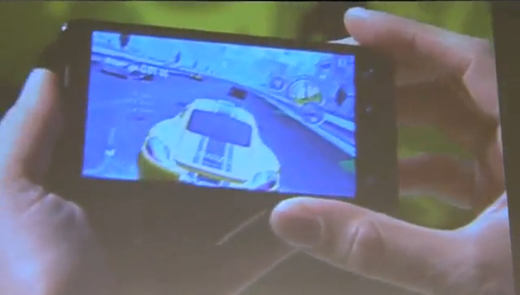 And now to celebrate it’s great hardware capabilities and launch, Sprint has announced that Electronic Art’s Need For Speed: Shift will make its debut on the Android Market on June 4th, with the HTC EVO 4G. HTC EVO 4G’s hardware without a doubt is more than capable enough of doing some great gaming, but sadly there aren’t any quality games on the Android Market which can test all the hardware power of the likes of EVO 4G and Nexus One. Android platform has really lacked quality gaming ever since its launch back in 2008 even though there is potential for it. Hardware in phones like the HTC EVO 4G and Nexus One is remarkable, and we believe that it can do quite a lot of visually stunning games similar to the ones like iPhone. Hopefully, the release of Need For Speed: Shift will open a gateway for developers to make new and exciting games for the Android platform. Even though Android is going to enter the gaming scene quite late with the release of Need For Speed: Shift, but it’s better than having nothing at all. About time. I love my android phone(s). But its something that they have always lacked since the beginning. Come on EVO, make the iPhone 4G sh!t itself! I guess the who ever posted this lives in a cave of some remote region of the planet, cause gameloft released 10 open gl es 2.0 for android, some have stutter wile ingame simply because these were optimized for the power vr sgx, which can be found in the iphone/motorola milestone etc, sadly the amd z430 onboard gpu of snapdragon devices, was not the target platform for these games hence there not optimized for it, but none the less they work pretty well. And it was never released…..